At Fort Pitt Capital, we review the portfolios of clients and prospective clients to determine if they are invested too heavily in one industry or company. Why is concentration a problem? No company is bulletproof, and a significant hit to a big position can wreck your overall returns. Whether you’ve acquired a position through compensation or bonuses, received shares via inheritance or just have an affinity for one company – you need to know the risks involved – as well as diversification strategies that won’t cost you a bundle in taxes. Assessing overconcentration is a simple matter of percentages. In the portfolios we manage, for example, our typical holding is 3 to 4 percent of the total portfolio value. Most portfolios have 30 to 35 positions, with a maximum of 5 or 6 percent in any one holding. 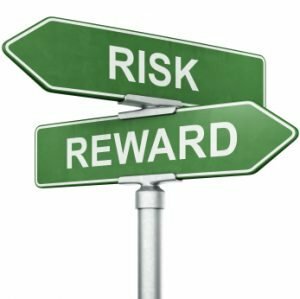 Academic research has shown that portfolios with these characteristics have little risk of any one position dragging down the entire portfolio. Using these broad guidelines, investors with 10 percent of their net worth in one stock represents a yellow flag, while investors with 20 percent of their net worth in one stock represents a red flag. We generally move to reduce a 20-percent holding as soon as we take over such a portfolio. We usually don’t sell all at once, however, we particularly avoid this in taxpaying accounts. Big positions often have tax issues attached, as they’re typically accumulated over many years, and at much lower prices. Perhaps you’ve steadily reinvested dividends as a stock appreciated in value over the years. If you then sell it all in a single tax year, you’re subject to big capital-gain liability in that year. Thus, with concentrated holdings, the extensive tax liability also limits liquidity. You’re unable to quickly and easily access funds in a concentrated position due to taxes. What should investors do when they’re too concentrated in one stock or sector of the market? The simple answer is: sell some and try to offset any taxable gains with losses elsewhere in the portfolio. If you have no other losses, take the capital gain hit on a portion of the position and move on. The key is to get going on bringing the position well below the 20-percent “red flag” level, with a goal of bringing it under the 10 percent level over several years. Another strategy is an equity “collar”. This involves purchasing simultaneous put and call options on a stock with the goal of setting a price “ceiling” and “floor” on all or a portion of the position. This strategy gives investors the opportunity to sell shares at a specific price even if the stock price declines. Collars can be combined with a strategy to whittle the position down over time, allowing any tax liability to be spread over several years. Proceeds can be diversified into other holdings. Finally, for those who stand to inherit concentrated stock holdings, comparing cost basis with the expected life expectancy of the grantor is key. It may sound morbid, but instead of selling, oftentimes the most effective strategy is to simply wait for the grantor to pass so the shares receive “stepped-up” tax treatment. The value of the shares on the date of death of the deceased represents the new tax basis for the recipient. Diversification can begin, and capital gains taxes are no longer an issue.